Nice bikes! And perfect for a five mile commute. 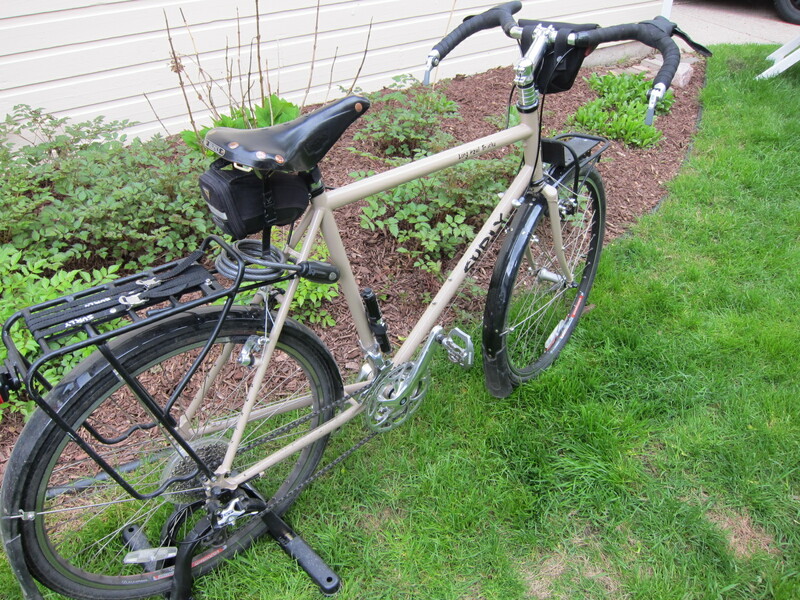 For my 16-18 mile commutes, I’ve used an old racing bike (I raced the 2001 Alpine Valley race on it) with 28 wide city tires and, initially, front and rear fenders and a rack. But with that distance, you just want to be moving, so I’ve shifted the balance from durability and comfort over to lightness and speed (relatively speaking): no more rack, no more front fender with mudflap, and soon my 25 wide 2010 Gatorskins will arrive. I may have to set up yet another old rig with wider tires (maybe even Gene Macken spike tires) for the snowy and icy days. Enjoy! 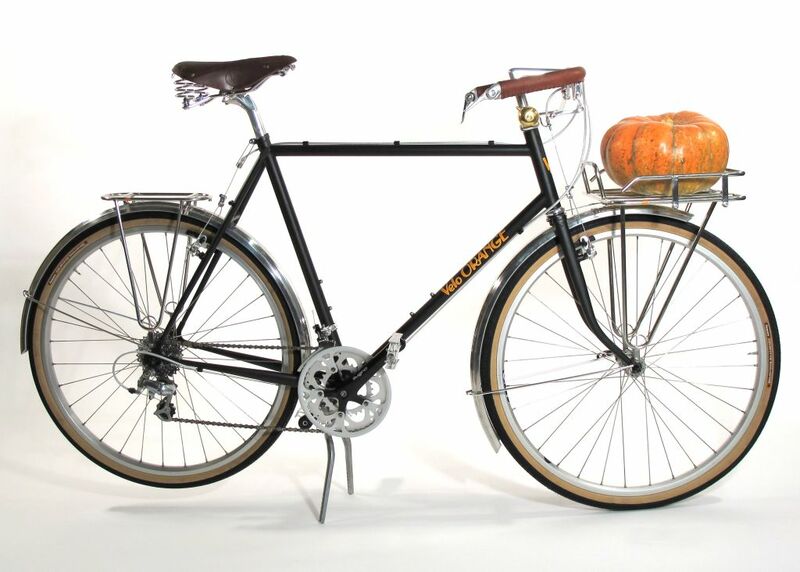 Cool bike for sure… I want to build a bike with a dynamo hub and fenders too. Plus we’re adding a new addition to the family and he needs a place to sit so he doesn’t miss out on weekend rides. Looks like fun D, keep up the good work.